Maruti Suzuki has been shipping the Baleno mild-hybrid to overseas markets since 2016, and now, it is readying it for the domestic market. While the export markets get it with an ‘SHVS’ badge on the tailgate, the domestic market will get it with a ‘Smart Hybrid’ badge on the tailgate. Maruti Suzuki planning to start offering its Smart Hybrid mild-hybrid system in the Baleno comes as no surprise, as we know that the Fiat-developed D13A 1.3-litre DDiS diesel engine is set to get discontinued by March 2020. Customers requiring a higher fuel efficiency than that of the most economical petrol engine model (21.4 km/l) will be the target for the Smart Hybrid variant. The Smart Hybrid mild-hybrid system will lead to a higher fuel economy in the petrol engine model, although a rating as good as the diesel engine model (27.39 km/l) is unlikely. In export markets, the Smart Hybrid mild-hybrid system is available with the K12C 1.2-litre petrol engine and even the K10C 1.0-litre petrol engine. In India, the petrol engine options include the K12M 1.2-litre unit that returns 21.4 km/l and the K10C 1.0-litre unit that delivers 21.1 km/l. The more powerful and torquier K10C engine is only slightly less economical, but it’s much costlier because it’s imported, from Japan. So, Maruti Suzuki may offer the Smart Hybrid mild-hybrid system with the K12M engine instead. As early as by the final quarter of this calendar year and the latest by March 2020, the D13A 1.3-litre diesel engine option will cease to exist in the Maruti Baleno. Maruti Suzuki has two different Smart Hybrid systems, an older, single-battery one, called ‘Proven’, and a newer, dual-battery one, called ‘Progressive’. 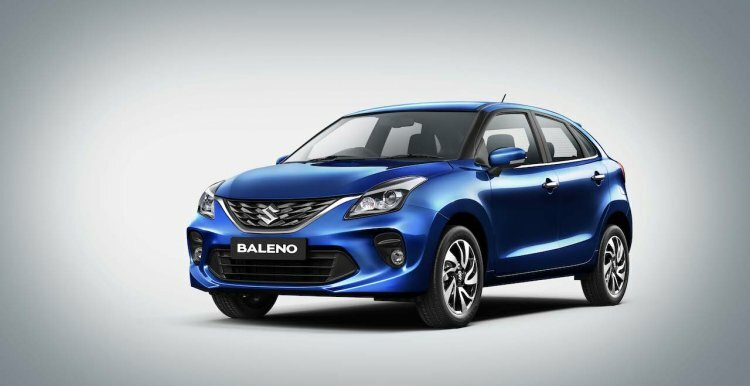 Which of the two it plans to offer in the Baleno is unknown. There's no word on the launch timeline either.